HACO produces press brakes for a diverse group of industries on both ends of the spectrum. We offer machines with capacities from 40 to 2000 tons and working lengths from 1.6 to 10 m. To better serve the needs of our customers our product range extends to custom press brakes. 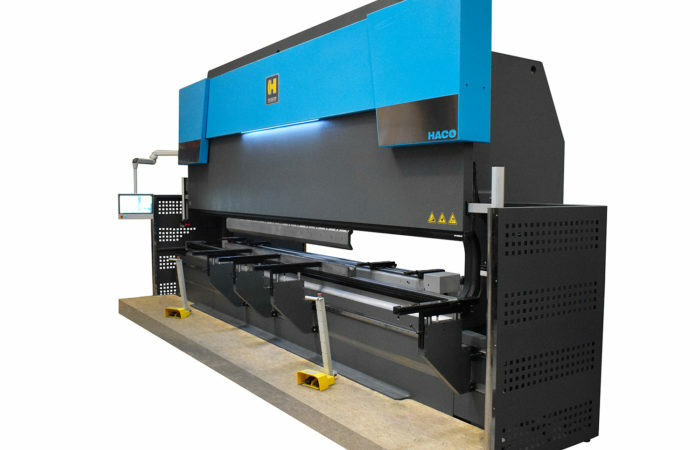 As world leader in sheet metal working machines, HACO offers a complete range of reliable, high-precision machines and the software that goes with it. As an absolute specialist, we can provide a customized solution for every specific situation. HACO Kingsland & Mubea Systems offer you a complete range of machinery for all kind of metal constructions. We combine our knowledge of the profile industry with HACO’s metal & wood industry experience. Mubea Systems S.A., part of the international HACO Group, is known worldwide for its CNC machining centers. We offer profile machining centers, solid aluminum machining centers and heavy duty machining centers. FAT, a member of the HACO Group, is Europe’s leading manufacturer of conventional and CNC lathe machinery. With over 60 years of experience in lathe building, we deliver top performance lathes at competitive prices. BRET-BLISS specializes in the design and manufacturing of hydraulic and mechanical presses. We bring you a 100 years of experience. HACO offers a diversified and comprehensive range of industrial woodworking machinery, designed to make your job easier and safer. We are able to offer you multi-purpose machines that provide great results and are still easy to use. 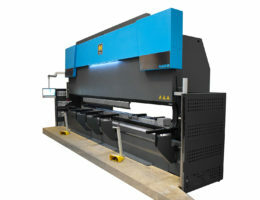 Top level press brake with high-end specifications and execution. Increased Daylight Opening and Beam Stroke for increased bending freedom. Increased beam and back gauge speeds for high productivity. Innovative 3D Multi Touch graphical control. New Standard (= NS) type Hydraulic upper clamping and CNC Crowning table with hydraulic clamping for New Standard (= NS) type dies. Fast and accurate 4-axes back gauge (optionally expandable up to 6-axis). LED illumination of the bending area. Less Power Consumption through application of frequency convertor for motor-pump unit. The frequency converter allows for higher beam return speeds in combination with 'no power consumption' with stationary beam. Possibility for extension with sophisticated options. Integration of advanced Lazer Safe safety equipment, availability of IRIS Plus until 3.6 m working length. Machine range : 2 m 75 tons until 4.25 m 250 tons. General level press brake with market oriented execution. Innovative 2D Multi Touch graphical control (3D optional). Fast and accurate 2-axes back gauge (optionally expandable up to 6-axis). 2 Sheet Supports with guiding, manually adjustable in height. Machine range : 2 m 75 tons until 6 m 320 tons and 4.25 m 400 tons. European System (= ES) type Quick Manual upper clamping and Crowning table for European System (= ES) type dies, including groove for clamping single-V dies. Integration of advanced Lazersafe safety equipment, availability of IRIS plus until 3.6 m working length. Machine range : 2 m 75 tons until 6 m 320 tons and 4.3 m 400 tons.